There will be a special convention on Monday, August 6, at 6:00 PM at the RPSC Campaign Headquarters [714 N. Germantown Parkway #21, Cordova, TN 38018] to select the Republican nominee in Tenn. House Dist. 99. 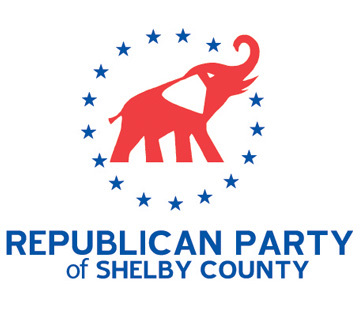 Qualified individuals will be allowed to address the convention and should submit a resume to hq@shelbygop.org or by mail to [1779 Kirby Parkway #1-63, Memphis, TN 38138] & must be received no later than noon, Monday, Aug. 6. Members of congress, and persons holding any office of profit or trust under any foreign power, other state of the union, or under the United States. Any individual who is vouched for in writing to the satisfaction of the State Chairman as a bona fide Republican, such as by an officer of the TRP, a member of the SEC, CEC of the County where the individual resides, or a Republican elected official. The State Chairman may require additional verification that the individual in question is indeed a bona fide Republican, and shall have final authority to make the determination. The TRP and each CEC shall maintain a list of all recognized auxiliary organizations for the application of the foregoing standards. a. Each CEC shall submit an updated list of recognized auxiliary organizations prior to their biennial reorganization. The State Chairman has final authority on all approved auxiliary organizations. “Actively involved in” in the foregoing section shall be defined as a quantifiable contribution including, but not limited to, time or money to Tennessee Republican Party, his County Republican Party, or any recognized auxiliary organization of either during the time period since the most recent County Republican Party reorganization (March 2017).